Voted #1 Repair Facility 8 Years in a Row! 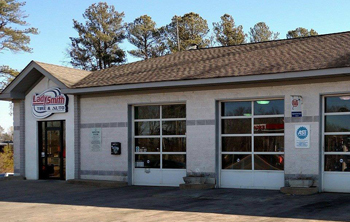 Ladysmith Tire & Auto Offers Auto Repair Services You Can Count On! 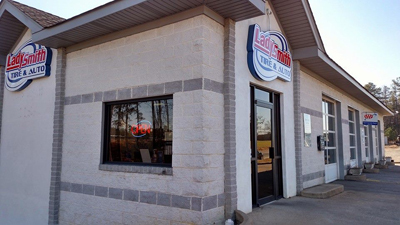 Since 2001, Ladysmith Tire & Auto has provided motorists in the Ruther Glen, VA 22546 area with comprehensive auto repair services that include 4x4 Services, Brakes, Car & Truck Care, Domestic Cars & Trucks, Electrical Services, Electronic Services, Engine & Transmission, Engine Maintenance, General Services, Heating and Cooling Services, Import Cars & Trucks, Inspections and Emissions, Miscellaneous Services, Tires, Towing, Transmission Services and Undercar Services. Our goal is to offer the best services available at affordable prices to get you back on the road in no time. We've been proudly serving the Ladysmith area since 2001. Our staff includes ASE Certified Master Technicians ready to handle all of your repair needs. Our clean non-smoking facility includes 6 bays. We can handle every aspect of your auto repair from oil change, engine replacement or regularly scheduled maintenance. We maintain state of the art equipment to diagnose and repair your vehicle quickly. Our shop is clean and customer friendly with cable TV, free coffee and wireless internet connection in our waiting area. Free Customer Courtesy Shuttle is available if you live or work within a 10 mile radius. We will gladly pick you up, drop you off or take you back to work when you leave your car for repairs. ASE Master Technicians: We are proud of our top notch ASE Master Technicians with L1 Advanced Certification who are ready to diagnose and repair any problem you may have with your vehicle. General Service Technicians: Are well trained and prepared to take care of your daily needs like State inspection, tire repair or replacement, oil change and fluid flushes to name a few. Our staff will examine your automobile during your regularly scheduled maintenance and alert you to any potential problems. Service Writers: Will listen to and understand your concerns and explain your repair. Take a test drive with you if needed and get you in and out as quickly as possible. Service Managers: Have many years of experience and training certifications. They will take the time to explain the needed repair and provide a written estimate to you for your approval. They will be happy to save damaged parts at your request so that you may inspect them when you arrive. For a high-performing vehicle, trust Ladysmith Tire & Auto with your car, truck, or van. To learn more about the services we offer, please contact us by phone at 804-448-2100 or send us an email. We also invite you to learn more about our dedication to you, our valued customer. We are happy to serve the following areas: Ruther Glen, Carmel Church, Bowling Green, Thornburg, Dumpass, and Partlow.